There has been a lot of controversy around the RSA conference this year after it was leaked that RSA was paid to allow a backdoor for the NSA. The RSA conference was boycotted by many tech and security professionals after the RSA backdoor was revealed. Stephen Colbert was asked to decline the keynote but he refused and this is a clip of his keynote which is a combination of humor and truth. 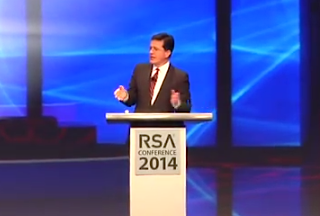 Here is a clip of part of Stephen Colbert’s keynote that has been uploaded to YouTube.